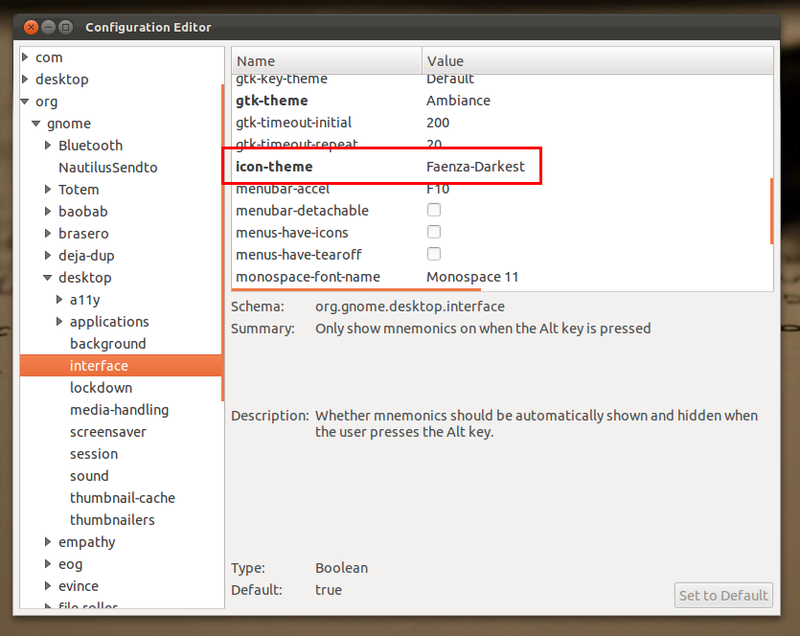 Ubuntu 11.10 Oneiric Ocelot does not have appearance properties so, we can't change GTK theme's option and icon theme easily. 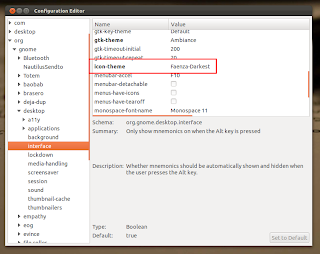 Fortunately, there is such an application called dconf-tools that can be used to change some gnome appearance properties including gnome icon theme. Once installed, run dconf-tools and then go to org-->gnome-->desktop-->interface-->enter the name of your desired icon theme at "icon-theme.